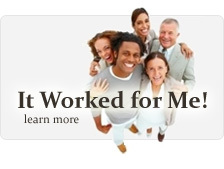 Remove brown age spots on skin, face or hands with a new fast, safe and effective treatment. Results are guaranteed. Value Size. Remove age spots with Age Spots Beauty Balm, a new fast, safe and effective treatment for age spots. Results are guaranteed. Caused by sun damage, age and genetics, age spots, also known as sun or liver spots, are dark spots on the skin that can be frustrating and hard to remove. Found most commonly on the face, hands, arms, chest and shoulders, age spots can also be expensive to treat. Thanks to Age Spots Beauty Balm, removing age spots is easier and safer than ever. 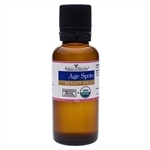 Unlike many other treatments for age spots, Age Spots Beauty Balm is 100 percent USDA Certified Organic. A natural age spots treatment for hyperpigmentation of the skin, it contains no chemicals or harmful ingredients, so it is safe to use on your skin and safe for the environment. Offering a natural, effective treatment for frustrating age spots, Age Spots Beauty Balm is comprised of non-toxic anti-inflammatory ingredients – naturally occurring phytochemicals that are found in medicinal plants and that can treat age spots and prevent them from coming back – so it feels good on the skin. 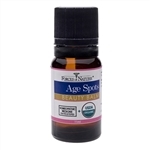 Age Spots Beauty Balm is easy to apply and easy to appreciate for its homeopathic ingredients, benefits and results. Forces of Nature’s Age Spots Beauty Balm is a proprietary blend that was exclusively designed for the natural and effective treatment of dark age spots. It works quickly and safely, creating beautiful, balanced skin tone. Improving skin vitality from the inside out, Age Spots Beauty Balm is a true balm in the fight against age spots. Results are guaranteed.